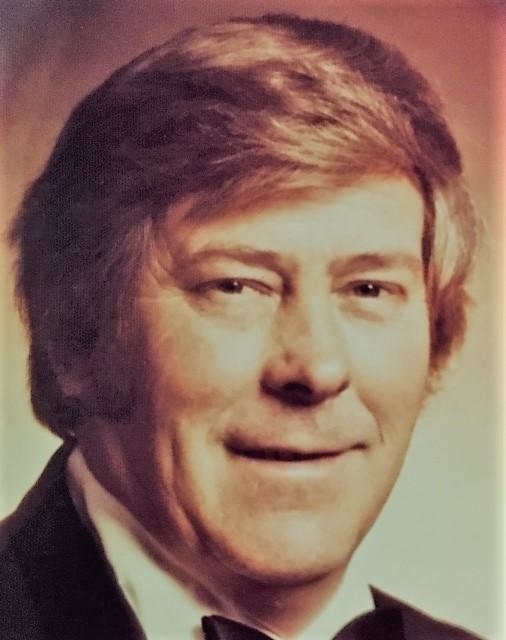 Harold Dean Hayes, 83, of Rising Sun passed away peacefully, at 10:30 a.m. on Thursday, November 16, 2018 at his home in Aberdeen. Harold was born January 12, 1935 in Ohio County to William and Goldie (Martin) Hayes. He attended school at Cass Union and Rising Sun and lived in Aberdeen for the past 54 years. He enlisted in the United States Navy in 1955 serving his country as a Navy Seabee, and one of the few servicemen, to touch ground in the Antarctica, South Pole, in the 50's. On April 1, 1956, he was united in marriage, to Laverne (Ballard), Florence, Indiana. Harold was an avid motor sportsman and started his career in the early 50's at Lawrenceburg Speedway. He was very instrumental in the introduction of 2 Wheel Drive Truck Pulling. He designed and created the pulling sled, "The Stopper". He was a master mechanic and self- taught engineer. Through the years, Harold was a mentor to many, who would bring their vehicles, boats, or whatever held an engine, for him to repair. He was owner and operator of Hayes Trucking and Excavating Business for over 50 years. Harold loved his community and was an avid historian when it came to Ohio County and especially the little village of Aberdeen. He was a member of East Enterprise United Methodist Church and after its closing, he and Laverne attended the Wesleyan Church, East Enterprise. He was a life member of VFW 5396, American Legion Post 59, Masonic Lodge 27, Order of Eastern Star, Bennington and served as Cass Township Trustee for 12 years and Ohio County Special Deputy for several years. He is survived by his wife of 62 years, Laverne Hayes, Aberdeen; Son, Billy Hayes (Lorie), Rising Sun; daughters, Debbie Cole, Rising Sun and Judy McAdams (Greg), Lawrenceburg. One brother, Edwin (Bubbie) Hayes, Rising Sun. Grandchildren; Kelli Jellison (Travis) Portland, IN; Jodi Bohrer (Donald) Miamitown, Ohio; Melisa Cole, Indianapolis, IN; Will and Megan Hayes, Rising Sun. Great Grandchildren; Kinsley, Shelby, Trinity and Trenten Jellison, Portland, IN; Bobby and Eli Bailey, Rising Sun and Austin Bohrer, Miamitown, Ohio. One sister in law, Lorraine Walton, Rising Sun and a host of nieces and nephews. He is preceded in death by his son, Michael Dean Hayes, Grandson, Michael Lee Bailey; his parents William and Goldie (Martin) Hayes and infant sister, Helen Hayes.